You are here: Home / Uri Geller: What is that in your hand? Uri Geller: What is that in your hand? 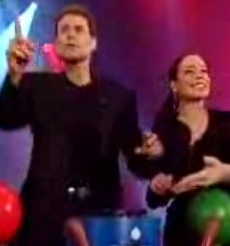 Uri Geller, Israeli wizard or phony, is seen here on a clip trying to move a magnet. It appears that he puts something on his hand from the video. Or maybe not. Watch him stick a magnet to his hand in the second try. http://rabbiyonah.com/wp-content/uploads/2013/04/cropped-RabbiYonahbookCover11.jpg 0 0 rabbiyonah http://rabbiyonah.com/wp-content/uploads/2013/04/cropped-RabbiYonahbookCover11.jpg rabbiyonah2007-01-08 19:14:182007-01-08 19:14:18Uri Geller: What is that in your hand?